As a primary school teacher I have seen the benefits of all round sensory learning. Children learn better when they can use as many of their senses as possible! 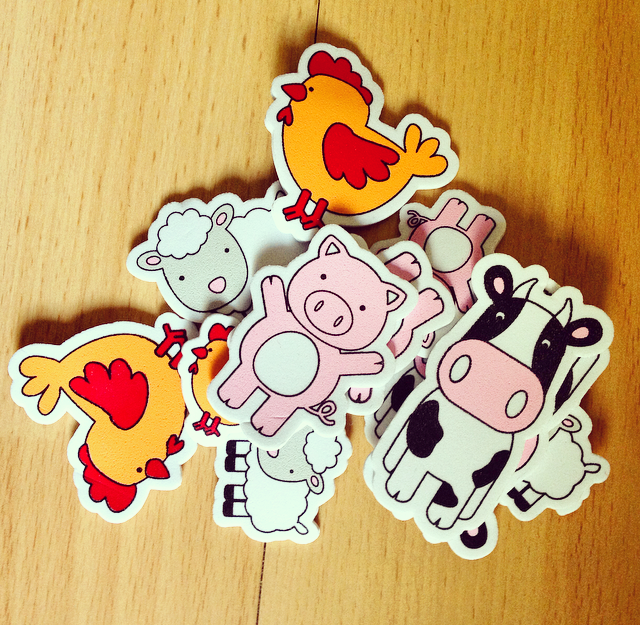 Children also need to be stimulated when playing, to build the learning process. Lots of toys today feature a number of different elements to engage different senses but there are loads of things you can make at home! Here are 3 ideas of things you can make for a couple of £££ and that your babies and toddlers will enjoy! 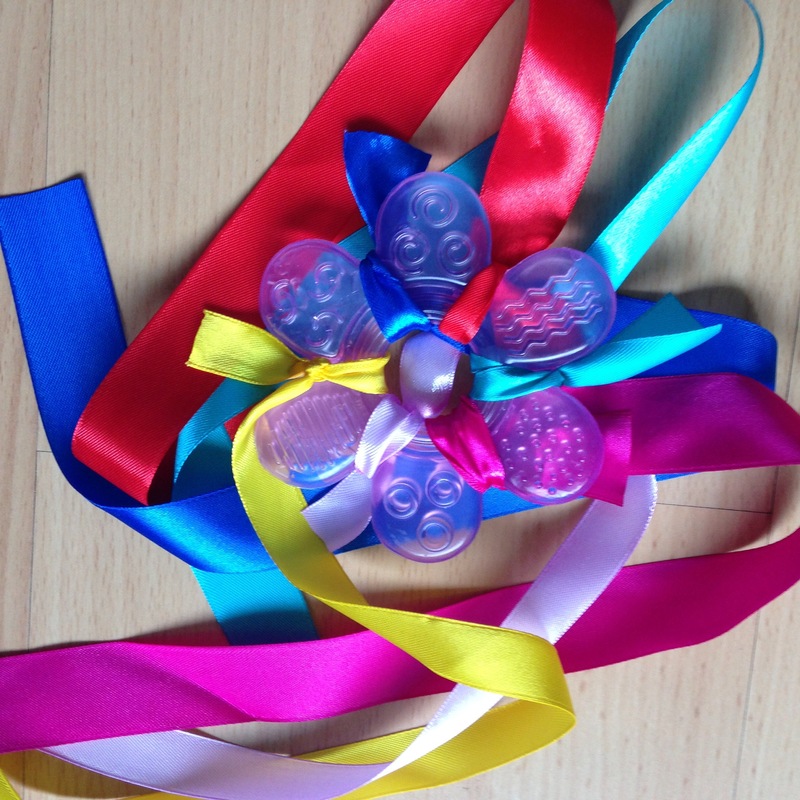 Sensory bottles, sensory bags and sensory teething rings. 1. 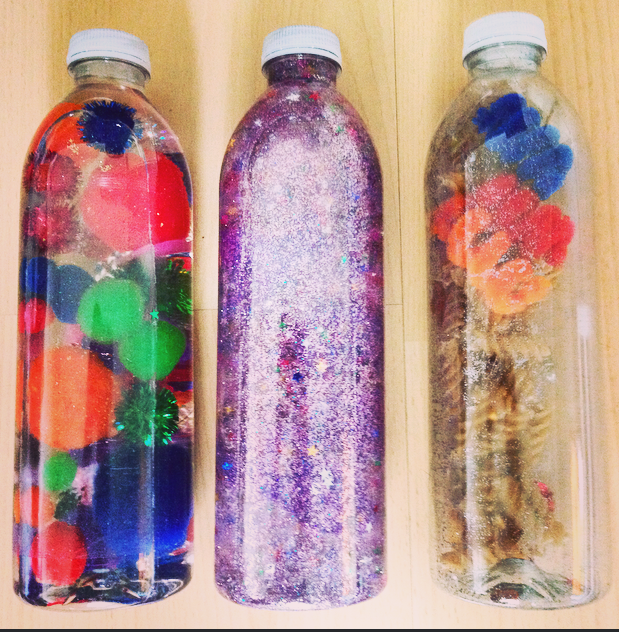 Sensory Bottles You can really let your imagation run wild with these things. Get a few bottles of water and basically fill them with loads of fun and interesting things. 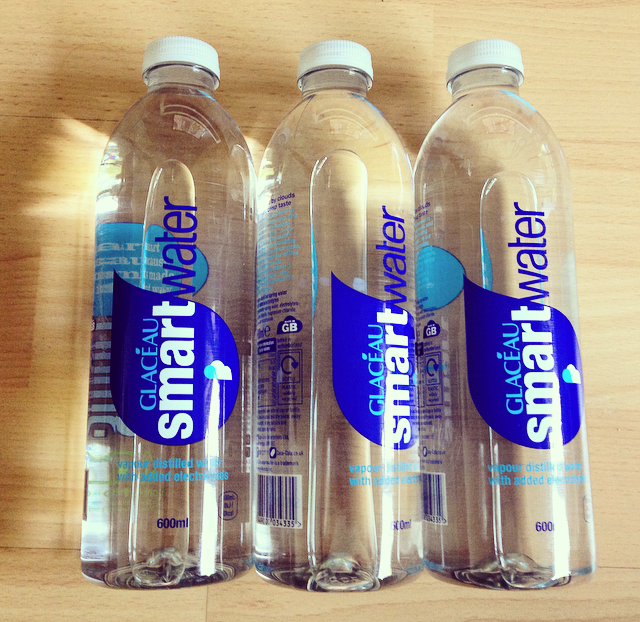 I’ve used the Smart Water bottles as they are plain and don’t have a pattern on the plastic. 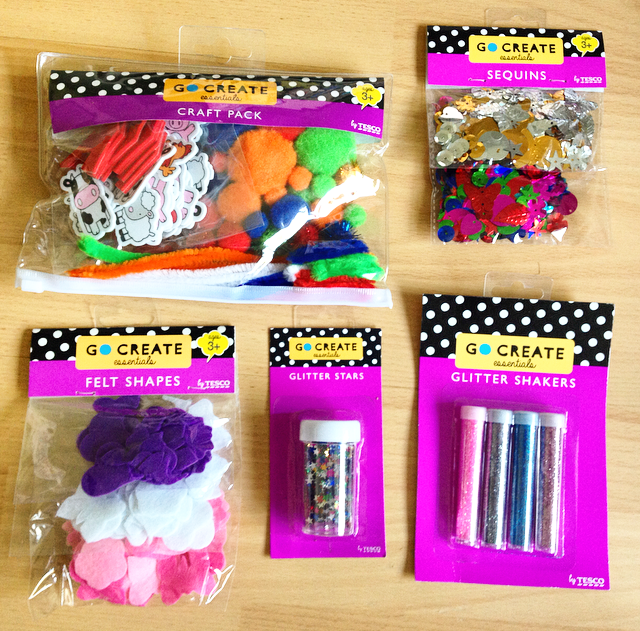 I was browsing the aisles of Tesco and found a range of craft accessories that were part of a 4 for 3 deal. I made 3 different bottles. The first has water with some fluffy balls and glitter. The second has baby oil, glitter and some shiny stars and the third has no liquid with dry pasta, pipe cleaners and glitter (this one will create sound). Tip: super glue the lids down! 2. 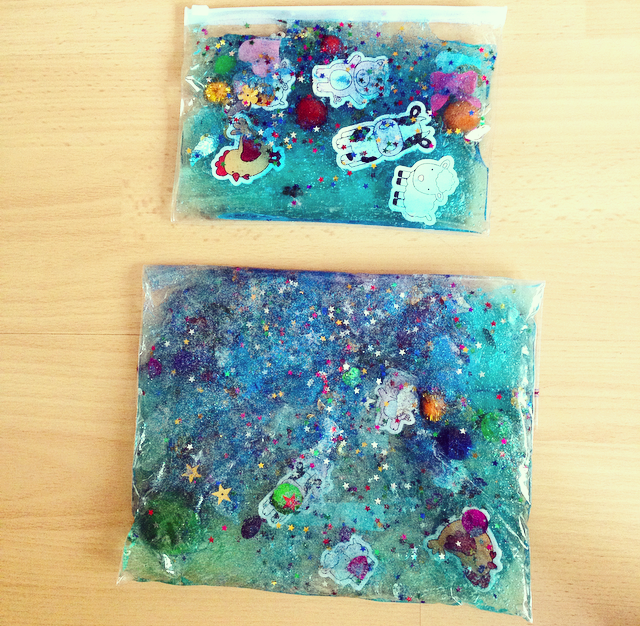 Sensory Bags I think I had more fun making these! Again you can really use your imagination here. I’ve seen loads of different types on Pinterest. Halloween themed being a popular choice! 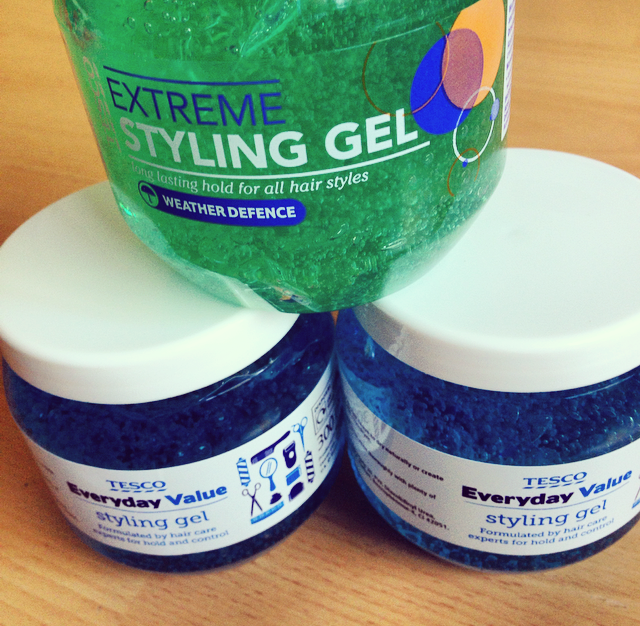 So for these you will need some zippy lock sandwich bags, hair gel and (again) interesting objects! Make sure they don’t have sharpe corners or you will end up with a slick baby and carpet!! I thought these little foam animals were quite cute and I noticed that Evelyn focused in on them! 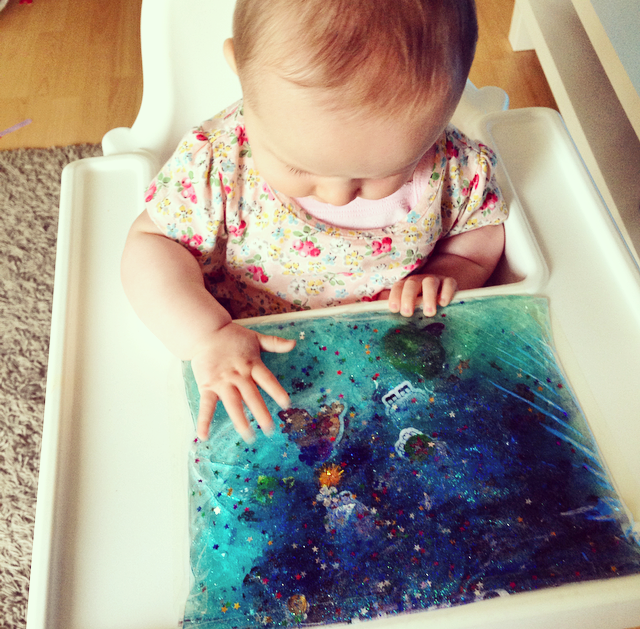 I then selotaped it to the tray of her high chair, she was then able to sit up and really engage with it. 3. Sensory Teething Rings These are my own invention. Evelyn is really teething at the minute but won’t hold her teething rings in her mouth! (She realises it isn’t food and throws it on the floor!!). 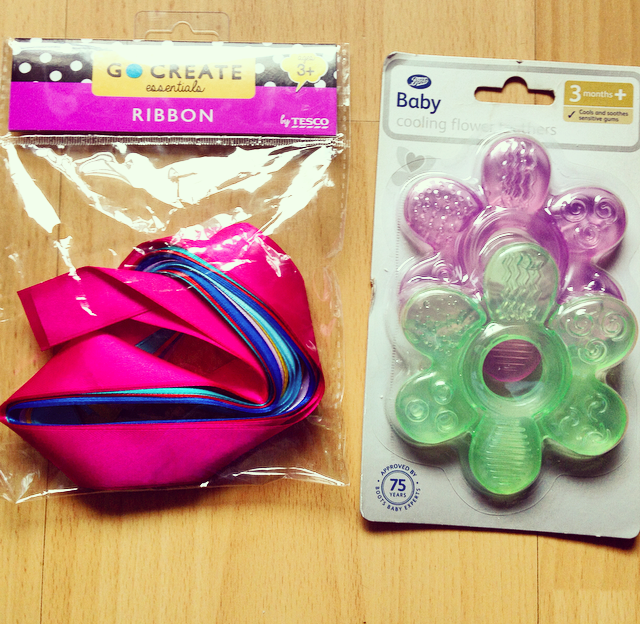 I saw a little packet of ribbons in Tesco and 💡 “lightbulb”. Basically just tie the ribbon around the ring, use a variety of colours. She loves throwing this around and does now chew down on it! It does mean the whole thing needs to go in the fridge! 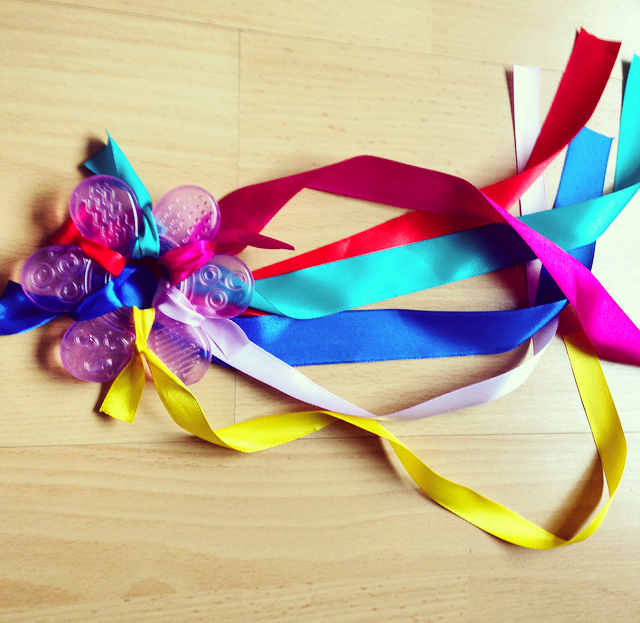 Just make sure the ribbons are double knotted and secure! Do go onto Pinterest for loads more ideas!! Hope you have a go and enjoy! 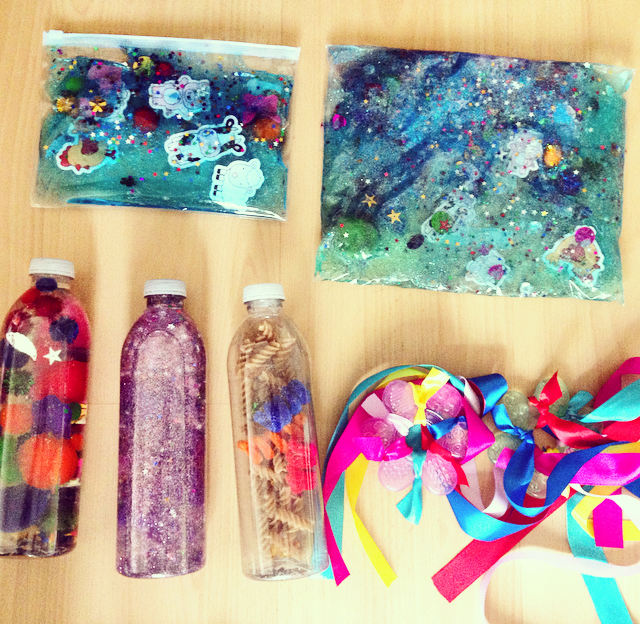 5 reasons to get stuck in with lots of sensory play! 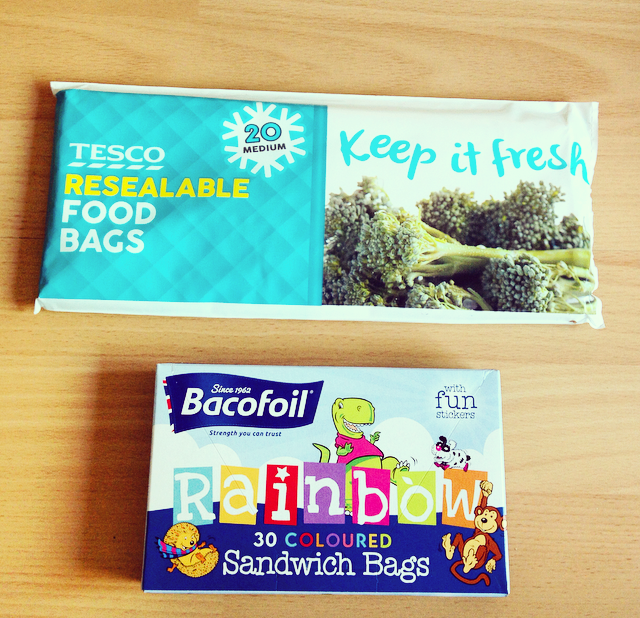 < Previous What’s in my baby bag! Next > Happy, Healthy, Homemade!